Copenhagen, Ghent and Amsterdam, March 5 2018 - To complement its activities Sentia announces that it has made strategic acquisitions in Denmark. The recent set of acquisitions will further strengthen Sentia with a unique set of AWS and Microsoft Azure solutions to better serve the enterprise market. The acquisitions are part of Sentia’s ambition to become a European leader in managed services for complex and critical applications on scalable cloud-platforms. 18 months ago, Sentia expanded to Denmark with the acquisition of Solido and Jaynet. Now, it uses the same success formula to expand within the Danish market. With its strategic acquisitions of Hosters, Athena and Cohaesio, Sentia is now one of the major enterprise managed cloud providers in each country Sentia operates. Sentia’s proven integration framework will be put to work to deliver a very capable cloud-first provider while maintaining the nimble and agile organisation. Sentia’s ambition is to help customers at every single point in their journey ranging from managing on-premises hardware to a fully cloud native platform. Our goal is to become a leading European company in managed application continuity in the cloud. With the expertise that we have in delivering managed cloud solutions to the most demanding companies, we take advantage of our scale by working together in the field of compliance and technology. We empower our teams across Europe with tooling and knowledge on topics such as automation, AWS, Azure, hybrid cloud, containers and privacy regulations. The recent acquisitions will strengthen our organisation as a leading provider of innovative managed cloud services in Western Europe. Hosters, founded in 2016, is a provider of cloud solutions helping over 300 organisations to manage their infrastructure and operations and drive innovation through the cloud computing model, based on Microsoft Azure. Athena, a Danish IT and Cloud provider enters the group with a broad portfolio of IT solutions serving enterprise customers. Also the enterprise arm of Cohaesio, a supplier of managed hosting solutions for large and medium businesses, will be integrated into Sentia Denmark. Operating under the Sentia brand and the same set of corporate values, Sentia Denmark will continue to serve clients through the same tailored model, where small operational teams on the ground remain close to customers. At the same time, the European dimension of the group which has offices in the Netherlands, Belgium and Denmark, allows for enormous advantages in R&D capacity, tooling and shared best practices. All three regions continue to be managed by strong local management as part of Sentia’s customer intimacy model. Upon the completion of the transaction the founders of Hosters are to become shareholders in Sentia Group. Furthermore Hosters’ CEO Jakob Norup will take on the role of Managing Director for Sentia Denmark, overseeing the execution of the entire strategy in Denmark. 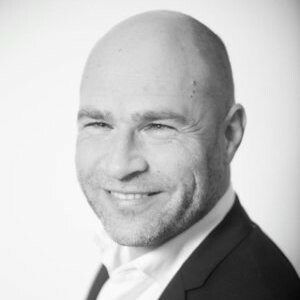 Mr. Norup will be taking over the role from Michael Meister who has been successfully leading Sentia in Denmark for the last years and who has played an important role in integrating the first acquisitions. As the hybrid model of cloud computing is gaining momentum, Sentia Denmark will be uniquely positioned to offer both Amazon Web Services and Microsoft Azure, depending on customer needs. Today, customer value is no longer derived from technology itself, instead it lies within the way technology activates business growth. Single products don’t solve complex business challenges, which is why this new partnership will maintain its focus on a holistic cloud-first strategy. Sentia keeps its focus on cloud innovation, providing the highest level of security and compliance infrastructure to its clients, through a stable delivery model granted by the support and backing of the centralized competence centers. The recent acquisitions also ensure a leading position and an innovative view on hybrid cloud solutions, since Sentia has experience in both private (Sentia Cloud) and public (Amazon Web Services and Microsoft Azure) cloud solutions. All the knowledge and experience contributes to Sentia’s drive in creating a culture of excellence and continuity, both within the organisation as well as for its customers.